Colt Canada IUR AR15 review! 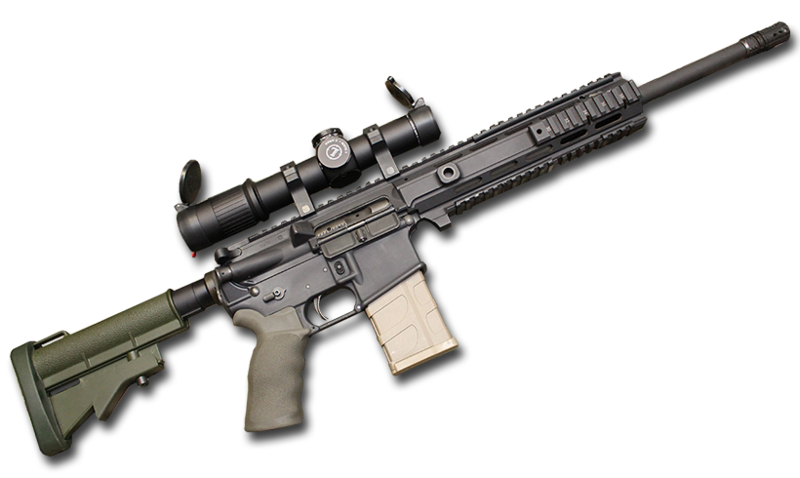 The Integrated Upper Receiver.In our full review of the Colt Canada Integrated Upper Receiver (IUR) AR15 style rifle we cover the pros and cons of the rifle. The IUR is the civilian semi automatic version of the Canadian Military C8 service rifle. 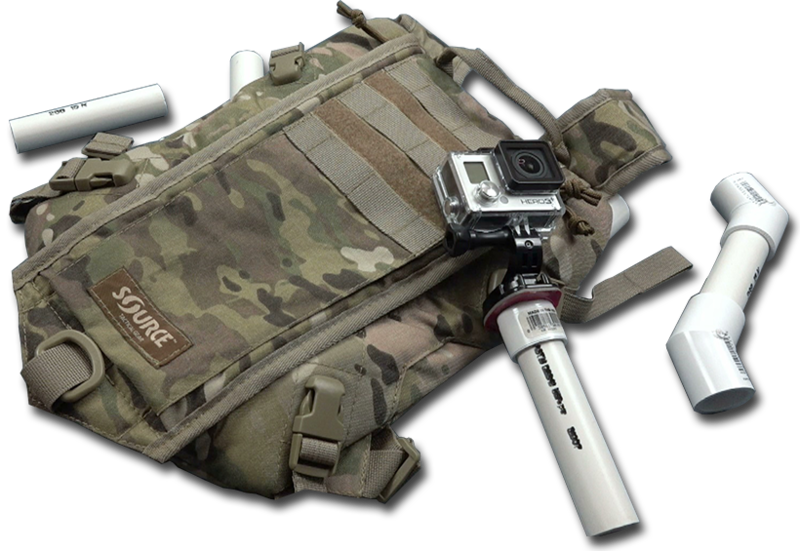 Learn how to make a backpack mount for your action camera. We show you how to make a GoPro action camera mounting system that mounts the camera onto a backpack for first person footage. Passing anti firearm legislation can cause an area economic hardship as jobs and profit are lost. Is the latest onslaught from the media true? 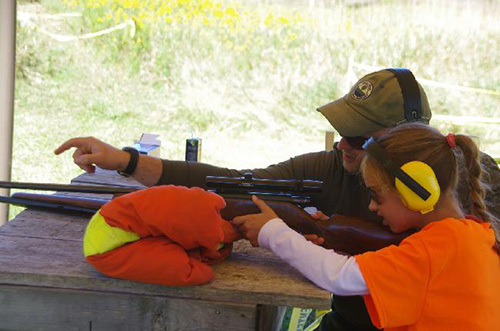 Is one Ontario child killed or injured by a firearm per day? 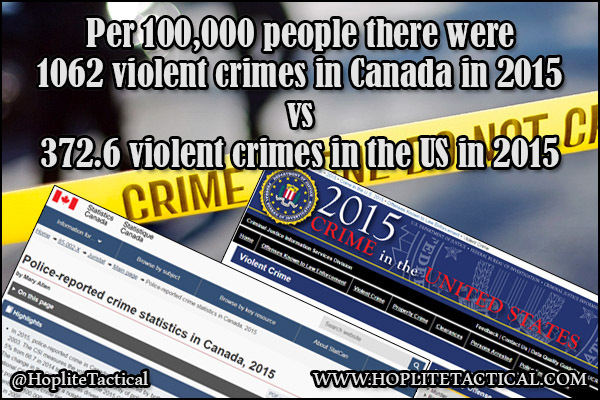 Is Canada a more peaceful and safer place than the US? We take a look at the statistics. Check out our merchandise store for shirts and any future products as they launch. To see your order click on the cart icon at the top of the page in the menu area. At the bottom of the site you'll find a link to our directory of site sponsors. Be sure to tell them we sent you. Check out our articles and videos. We publish articles and videos as regularly as possible that focus on firearms, accessories, reviews, and related news from all over North America. As you may be aware there is new firearm legislation tabled that has been fast tracked by the Liberal Party of Canada. 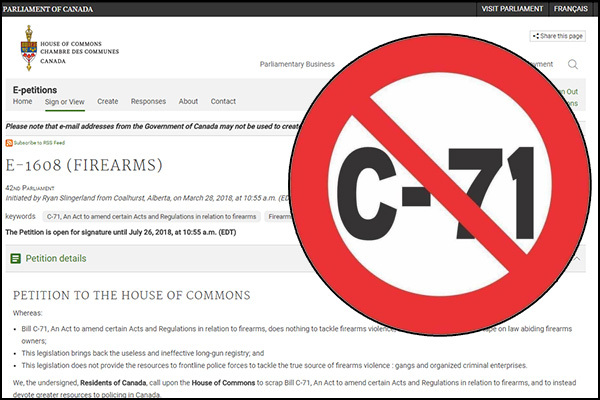 The debate on this bill has been limited by the fast tracking, and Bill C-71 is being strongly opposed by every Canadian law abiding firearm owner that has read it. 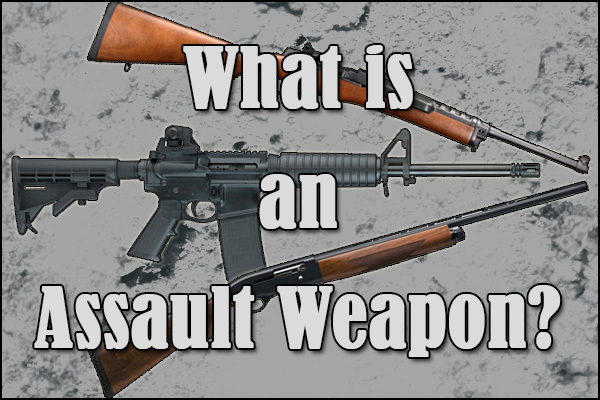 With the gun control debate ramping up in the US and Canada one term that you hear thrown around in the narrative is "assault weapon". Gun control advocates and Politicians are using this term to paint entire makes of rifles in a negative light, but do they really know what they are talking about? If Bill C-71 passes into law the CZ-858 and the Swiss Arms family of rifles will become prohibited. 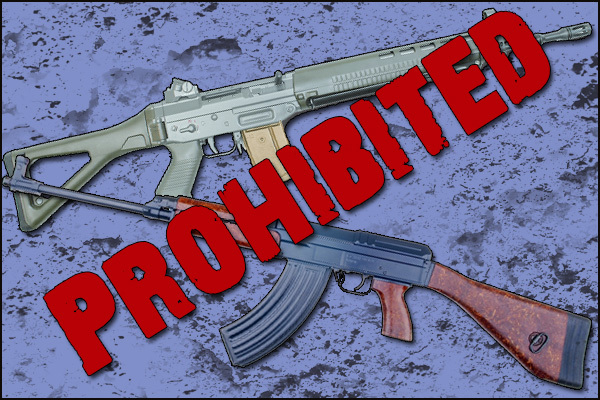 If this sounds like old news, it kind of is, but it's the second kick at the can of bringing these rifles into the prohibited classification. 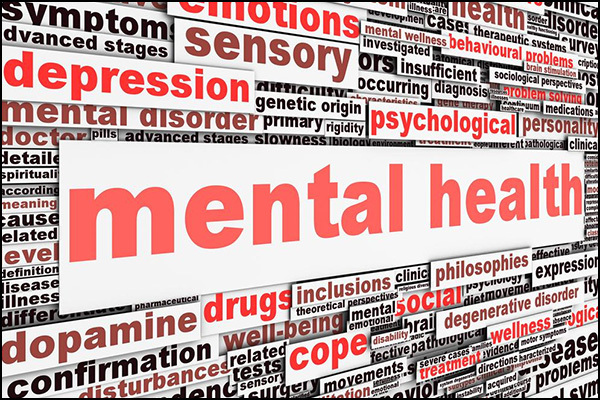 One issue surrounding firearm ownership in Canada is mental illness, and the reluctance to seek help due to fear of loss of property. Once Bill C-71 comes into effect this stigma on a already heavily regulated segment of the population will only get worse. We're pleased to welcome you to our site! Please browse around through the various articles, videos, and members areas of our site (click here if you're not a member)! This site will be updated regularly and is the central hub for all of our social media outlets, so remember to check back often as this site dynamically updates! Becoming a member to Hoplite Tactical is free, easy, and comes with rewards such as subscription to our newsletter, access to the members area of the site and access to our merchandise store. In the members area you'll find free exclusive downloads, articles, and more. Opting in to our newsletter grants you exclusive promo codes with our site sponsors, information to new upcoming products and more. Become a member to Hoplite Tactical today by registering with the site by clicking here or the 'register' link in the top right corner of the site. Subscribe to our newsletter by clicking here, or you can also find the subscription field by scrolling down a bit on this page. Subscription is free and easy, and can grant you user exclusive discount codes and more with our sponsors. You can also sign up for the newsletter by becoming a member of the site, which is also free. Find us with Social Media. Like our page enough to share with your friends? Then you can find us on various forms of social media! Keep track of our pages as we have contests, give aways, memes, news, videos, and lots more available on our various pages. Facebook. | Twitter. | YouTube. Read more: Site Sponsors Directory! Our merchandise store is launched! We have a variety of Hoplite Tactical merchandise available to our social media fans that can be purchased in the merchandise store. Shipping is available worldwide and there are a variety of payment methods accepted. Read more: Merchandise store is launched! By subscribing to our mailing list you're opting in to the latest news, product discount codes, and latest product announcements from our sponsors. We don't spam you and make sure to only include great content in our letters.